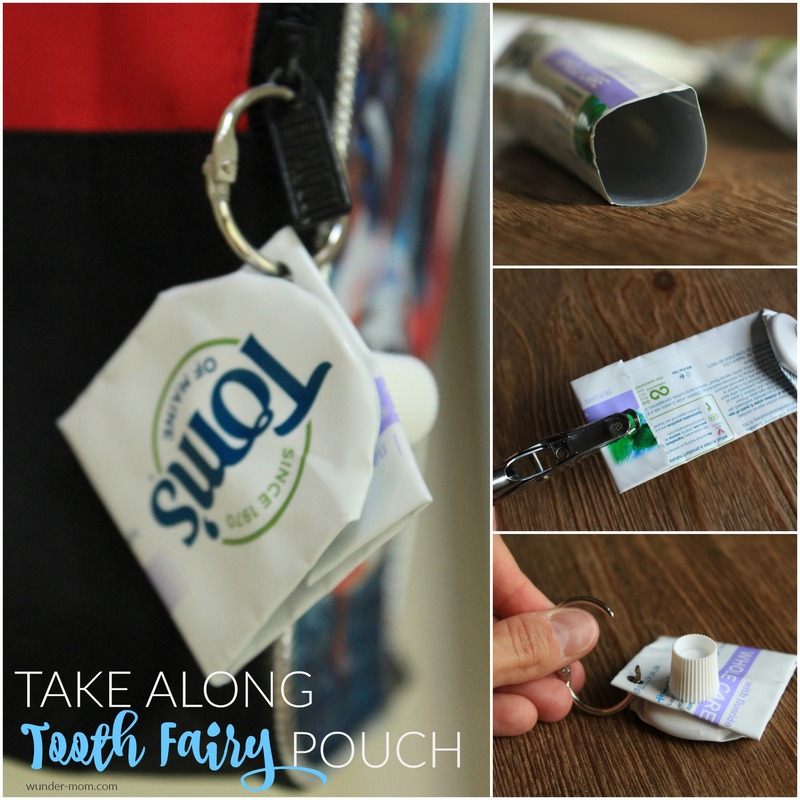 Make this take along Tooth Fairy Pouch from a recycled toothpaste tube and attach it to your child’s backpack for when they lose a tooth at school! I don’t know about you all but it seems that every other day I have a child losing a tooth! And it seems their favorite place to lose them is at school – you know, because I’m sure wiggling a tooth back and forth is much more interested than paying attention to the days history lesson! They proudly run in the front door when they get home and pull out their tooth – either pulling it out of their pocket or somehow wrapped in a paper towel from the lunch room, a piece of notebook paper, and if they’re really lucky the teacher has given them a plastic baggy to place it in. But there is nothing as devastating as excitedly getting home from school to show your mom your tooth and not being able to locate it! When somewhere along the way they have lost that precious pearly white between the the playground and the front door – the tooth fairy experience is just ruined! So why risk literally losing that baby tooth, not to mention wasting all the paper and plastic that they’ve attempted to carefully wrap it in, when you can make this easy DIY take along tooth fairy pouch?! 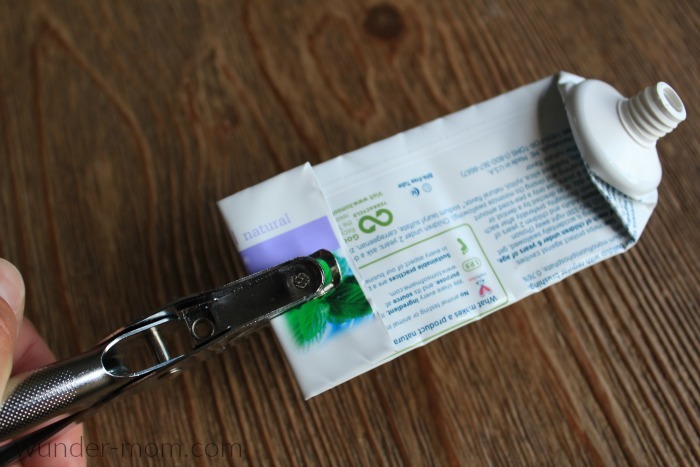 As a family we have taken the less waste challenge and are trying our best to recycle and reuse all that we can – including crafting with toothpaste tubes! Using recycled toothpaste tubes, I made these super cute tooth fairy pouches to attach to each of my children’s backpacks – that way, when they lose yet another tooth at school, they won’t actually LOSE it. It will be safely secured in their tooth fairy pouch! This was a quick and easy DIY project that took about 10 minutes to make, start to finish. If you want to jazz it up a little you could always have the kids get involved and paint the container, or decorate it with stickers or jewels. I decided to leave ours ‘as is’ though – super simple! 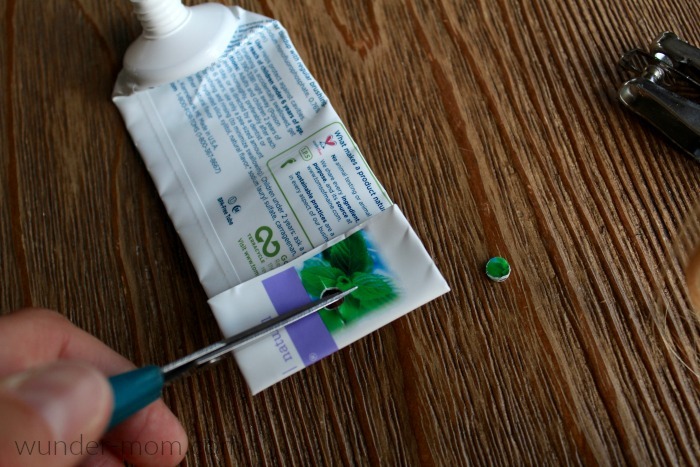 Start by cutting the very end off of your toothpaste tube and removing the cap. 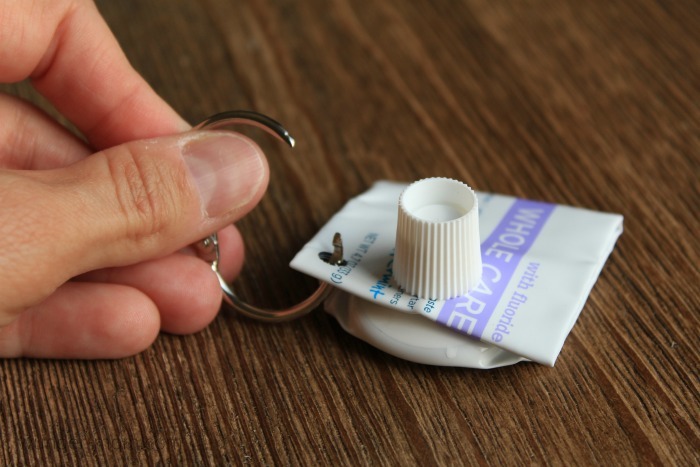 Clean out the inside of the tube and cap thoroughly and allow to dry. 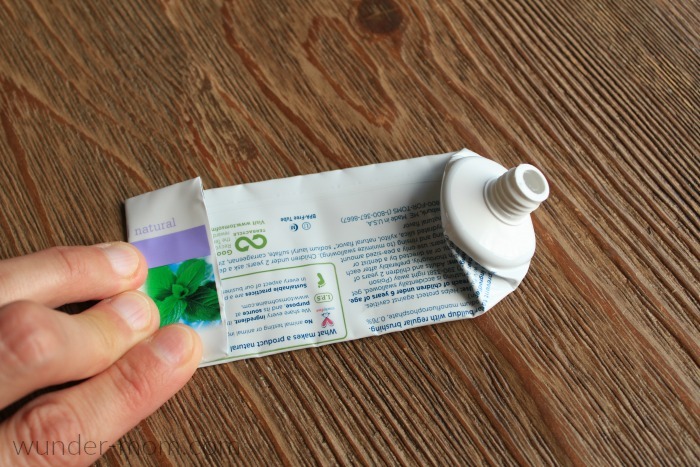 Flatten your toothpaste tube and fold over approximately 1″ of the bottom. You can use your cap to measure that you have enough room. Using your hole punch, punch a hole in the very center of the folded end. With your sharp scissors, cut the circle just big enough to re-insert the cap end (without the cap on) of the tube. Make an additional hole punch in the corner of the folded over end. Insert the cap end of the tube into the hole and secure cap. 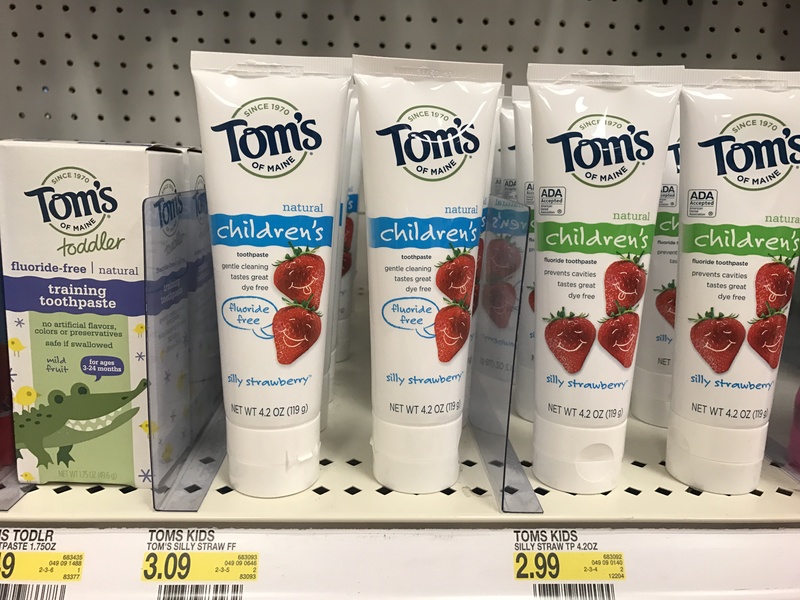 Since we are being environmentally conscientious by re-using our recycled toothpaste tubes I thought I’d also mention the kind of toothpaste we use for the whole family – from the toddler to the parents. 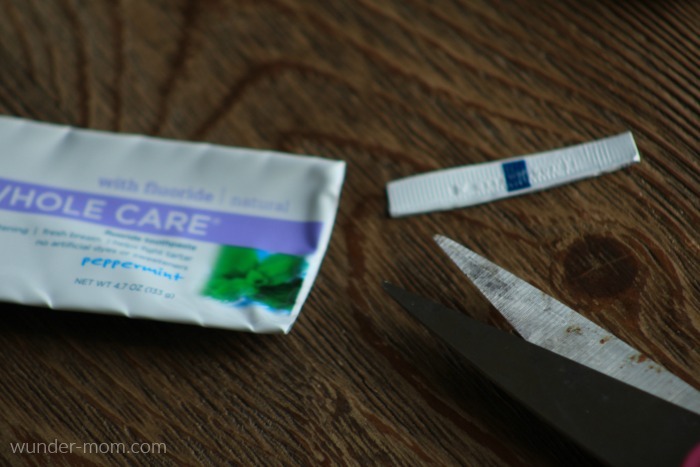 I always use a natural toothpaste – it just doesn’t make sense not to. 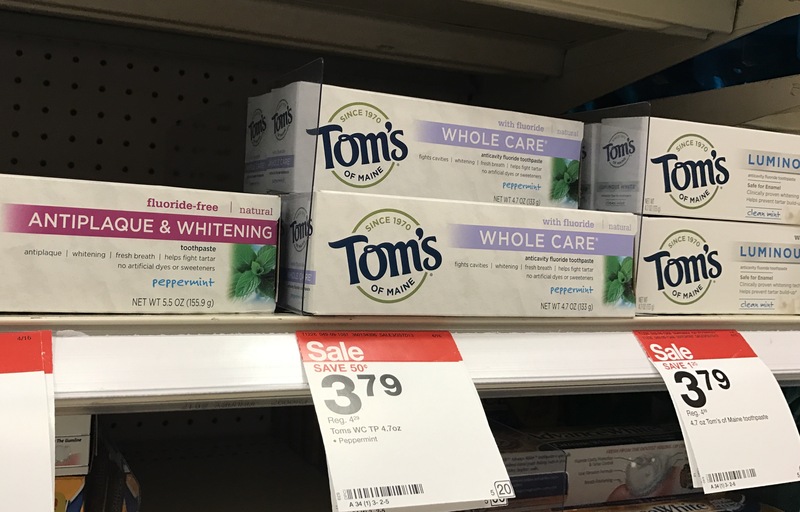 Toothpaste is literally brushed into your system through your gums and there is always a chance of young children swallowing some so I always make sure I’m not buying a toothpaste (or any other hygiene product) that isn’t made with natural, sustainable products. You and your family can take the less waste challenge too! Just post through your own social media channels how you are reducing 1 lb. of waste a week. Use the hashtag #LessWasteChallenge so we can see what you’re up to! 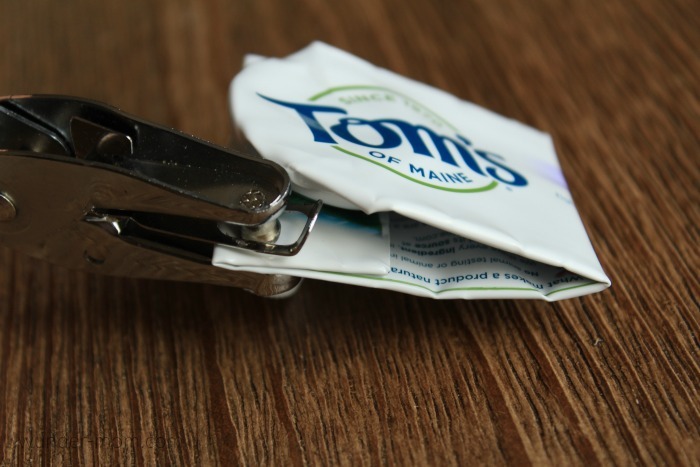 I’d really love to see if you’ve created any awesome upcylced projects using recycled Tom’s of Maine products! Let’s work together to keep waste out of landfills and make the world a better place for future generations!